Rajasthan Royals owner set to sell stakes, big business houses to bid. Rajasthan Royals owner set to sell stakes, big business houses expected to bid. It has been learnt that the current franchise owners have approached key BCCI officials and intimated their decision to sell around fifty percent of their stake. 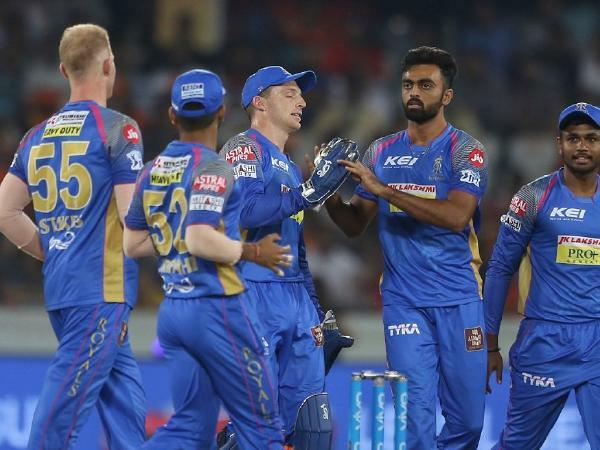 Indian Premier League franchise Rajasthan Royals’ owners are all set to sell half of their stakes in order to give the side a much needed financial boost ahead of the 12th edition of the popular league. It has been learnt that the current franchise owners have approached key BCCI officials and intimated their decision to sell around fifty percent of their stakes. Manoj Badale is the principal owner of Rajasthan Royals. “Yes, Rajasthan Royals are selling a major part of their stakes and the highest bidder will be getting it. What we have heard is that it is around fifty percent and some of the biggest business houses in the country are apparently interested in buying stakes,” a senior BCCI official privy to the development told PTI on conditions of anonymity. While there are no confirmations as of now but Sanjeev Goenka, former IPL franchise Rising Pune Supergiants’ owner, is keen on buying stakes. Goenka could not be reached for comment. Another big industrialist based out of Western India with multiple business interests is also in the mix. Goenka, who is also the principal owner of Indian Super League (ISL) team ATK, had bought the Pune franchise (Rising Pune Supergiants) for the two seasons when Rajasthan Royals and Chennai Super Kings were banned for their involvement in spot-fixing scandal. “Mr. Goenka has always been interested in coming back after he had a fairly good but short stint in the IPL. His team made it to the finals in one of the years. Let’s wait and watch how it all pans out,” the official said.